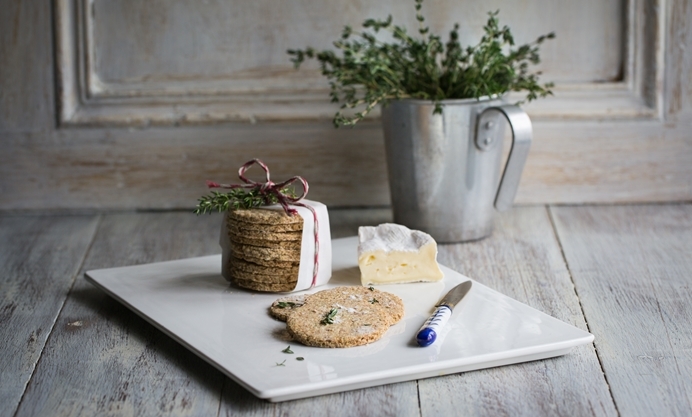 Louise Robinson serves up some fantastic thyme and sea salt oatcakes for simple yet elegant edible gifts for Christmas. Alternatively, whip up a batch for yourself – these make the ideal accompaniment to a Christmas cheeseboard. No matter how prepared I am during the festive period, it seems inevitable that come Christmas Day, something has been underestimated or forgotten. Last year, it was the biscuits to go with cheese. 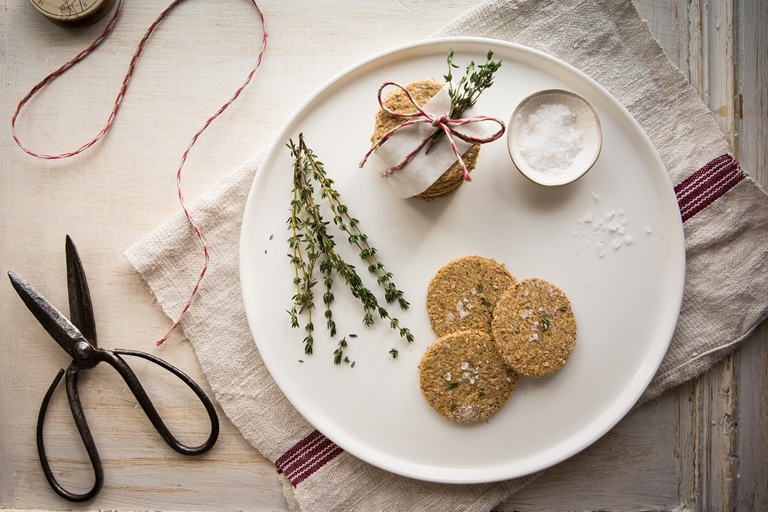 So I found myself frantically making a batch of these crumbly oatcakes with a hit of thyme, just before our guests arrived. Everyone remarked how lovely they were, so this year I decided to include them in my edible gifts for friends. If you fancy doing the same, simply wait until the biscuits are cool and tie a few up with a strip of baking paper and some ribbon, adding a sprig of thyme. Place in a clear plastic gift bag, easily available online or at most kitchenware stores and tie with more ribbon.